London VPNs calling. 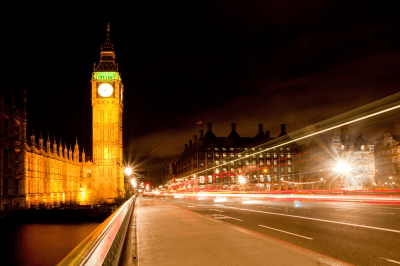 I can’t help think of London without London Calling by The Clash rattling through my head and when it comes to VPN use there is every reason to want to know what the Best VPN for London is. In this article I’m going to take a look. London the capital of the United Kingdom has recently been bestowed the honour of most visited city in a recent poll by Mastercard. According to the research, an estimated 18.82 million overnight tourists will visit London this year making it the most visited city in the world. With that in mind, there is every reason to make use of a London VPN. Why would I need a VPN for London? If the traveller statistics alone didn’t make you stop and think then there is every likelihood that you’ll be one of those tourists visiting London at some point and with so many other tourists in the area it makes it a hotbed of public Wi-Fi from bars and restaurants to hotels and even some parks. When you’re connecting to public Wi-Fi in a city that isn’t your own you can never be too sure of who the other people connected to the same network are and you can also never be sure about the intentions of the person or organisation running that Wi-Fi hotspot. We all love to connect to “free” Wi-Fi but there are dangers lurking and without a VPN for London you could be leaving your personal details in the wrong hands. If you’re a Londoner and let’s face it, you may very well be with a population of 8.59 million in Greater London alone then having access to a local London VPN server can totally transform your VPN experience. Lastly, you may not have lived in London or even plan to visit there but if you want to access British content such as streaming services like BBC iPlayer, ITV Player and more then you’re going to need a British VPN and London being the internet hub of the UK makes it a good choice. How does a London VPN benefit me? For those travelling in London, a London VPN allows you to protect yourself while connecting to public Wi-Fi. When you connect to your hotel or other Wi-Fi it ensures that all of your data is encrypted which means your emails can’t be read and your Facebook account can’t be accessed by others plus anything else sensitive you do online is secure. If you’re a London resident then it goes without saying, having access to a local London VPN server will greatly improve your speeds and often provide the best experience when browsing the web in a protected manner. No more waiting, buffering or stuttering to ruin your usage just a protected internet connection without noticeable speed loss. If you want to access British content then you will get the best speeds by using a London VPN. London is the physical centre of UK internet and it’s often the case that the best speeds can be achieved by connecting there. If you’re after accessing geo-restricted content then you can’t go wrong with a London VPN. There are hundreds of VPN companies that offer VPN services in the UK but not all have servers in London and not all are fast or good value for money. I’ve put together the top 3 Best VPN services for London below so feel free to consider them. IPVanish is an excellent choice for a London VPN because their vast array of London based VPN servers. With over 25 servers in London alone that you can individually select it allows for excellent optimisation. With so many different London based VPN servers it gives you the option to select the fastest and with their software across Windows, Mac, iOS and Android it allows you to see which is the fastest based on their ping. In our monthly speed tests for UK servers, IPVanish is often the top provider in terms if speed and in December 2015 their London servers were in fact the fastest out of all of the 10 VPN services we tested. If you’re travelling, working, or living in London then these high speeds will allow you to browse the internet securely without noticing any speed loss which can be an issue with other providers. With the UK moving towards greater surveillance it’s good news that IPVanish is a fully no log VPN provider meaning your online usage and download habits remain private. If you’re outside London then the array of servers will let you access UK based services such as BBC iPlayer, UK Netflix and ITV Player and give you the best possible stream avoiding buffering and playback issues. With a full 7-day money back guarantee, a low monthly price of approximately £4.30 (US$6.49) when taking a yearly package and unlimited bandwidth there really is nothing to lose. Massive 30-day money back guarantee. London servers not super fast. ExpressVPN makes a good second choice for a VPN for London. Although ExpressVPN does have servers around the UK and some are in London they don’t have quite as many London based servers as IPVanish. While the software and apps from ExpressVPN are easy enough to use and highly recommended for a beginner they don’t allow you to select which London VPN server you want to use and instead assign one to you. I liked the ability of the IPVanish software to be able to select a server and felt this was lacking in the ExpressVPN options. One of the best features of ExpressVPN is their huge 30-day money back guarantee allowing you to test out their London VPN servers and get a refund if you’re not happy. It also means if you’re only in London for a few weeks you can potentially use the service free of charge and then just request a refund, although this would be a bit sneaky and underhand. A 24-hour live support service is available from ExpressVPN so if you find yourself stuck you can get any issues resolved easily. If you’re OK with less London VPN selection then ExpressVPN make a decent choice, however if you want a bit more control over the London VPN server you use then we recommend IPVanish. Desktop software is a bit dull. It’s almost impossible to not have heard of HideMyAss if you’re searching for a VPN for London and thankfully they do have servers in London. At the time of writing, there are currently 23 London VPN servers which comes in a little under the IPVanish offering. The quirky name of this VPN provider make them easy to remember and a popular choice and while they don’t offer a bad service their speeds left a little something to be desired when I reviewed them in 2015. Unlike ExpressVPN, HideMyAss do allow you to select which London VPN server to connect to and while this is relatively easy on their Android and iOS client it’s a little more difficult for the beginner on their Windows and Mac software. I personally find the HideMyAss desktop software a little clunky and the options to select servers aren’t really thought out too well. If you’re used to VPN services then you shouldn’t find it too hard but if you’re new to VPN software then the IPVanish software is much easier to use. Although HideMyAss has a good selection of 23 London based VPN servers sadly I find their speeds aren’t top of the league and in my tests and reviews of the service one of the aspects I found them lacking in was speed. Sadly if you’re from the London area or just want to access services from London or the UK then the disappointing speeds of HideMyAss won’t always be up to the job. HideMyAss do now offer a 30-day money back guarantee and a lot of users do like their service so if you’re willing to take a gamble then check them out by following the link below although for less money a better service can be found at IPVanish. Finding a VPN service that is both good and has London VPN servers is made difficult due to the time consuming nature of the task so I hope comparing the three providers above gives you a better understanding of some of the available options. Like with all purchases it’s worth considering all sources and doing your research before finally settling on a provider that is suitable for your needs. With cheap prices available on 12-month packages it’s often worth considering a yearly service so being sure in your choice before parting with your cash can save heartache in the future. IPVanish is certainly the best VPN for London as far as I have found and while there may be other good alternatives out there they haven’t come to my attention. Over 25 individual London based servers – allowing you to select the best. Windows, Mac, iOS & Android apps – giving you the ability to connect with one-click. 7-day money back guarantee – meaning no risk. ExpressVPN are worth considering if you don’t mind the higher price tag and if you can live with the pitfalls that HideMyAss bring then they may make a suitable alternative. However, I recommend checking out IPVanish for a trouble free London VPN service. Just to recap here are my Best VPN for London Top 3.